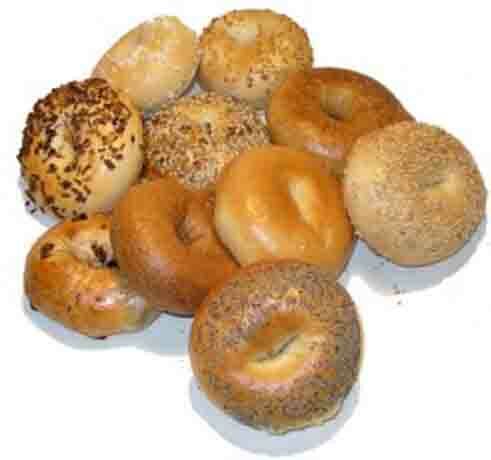 Consider the common association between Jews and bagels for breakfast. Myself, I’m a quinoa-and-avocado man. Nevertheless, mentally constructing a scene in which I invite my Catholic, Protestant, Muslim or Daoist friends to drop by for breakfast, my paranoid Jewish soul hears them translating, “That means bagels and cream cheese.” What does chewy bread with a hole in the middle have to do with being Jewish? And with Jewish breakfast in particular? A Jew is meant to start the day with a hole in the middle. What does a hole in the middle of the bagel teach us about starting out our day? Actually, quite a bit when you examine the metaphor. Recall that when we wake up each morning (at least according to Rabbi Freeman), we first bless God for our very existence. But then what? What do we have once we know we’re alive. …Now, the channel for receiving joy from above is a sense of nothingness [original: bitul—trans.] before your Creator. Wherever there is that nothingness, joy shines from above. And wherever there is a keen feeling of self, there is no joy. As the verse says, “The humble will increase joy in G-d.” (Avot 4:1) So it seems that humility and joy are related. It’s the humble in particular that can bring joy to G-d.
Superficially, this is difficult to understand. Humility is a sense of lowliness and lack of self worth, while joy implies an uplifted spirit and a sense of self-esteem. If so, how could humility be a receiving channel for joy? The answer is that humility is not the kind of lowliness that comes out of low self worth, in which a person finds nothing good about himself or that he is, G-d forbid, on a path that isn’t good. Rather the lowliness of humility is simply because he doesn’t feel himself so much. He doesn’t consider himself to be such a “somebody,” despite all the good that he has. Even though he is good and upright in Torah and mitzvahs and in his service of G-d with self-sacrifice, he is not so important in his eyes that he should be considered to have attained some certain spiritual level because of all this. In his bagel article, Rabbi Freeman says, “when you start with nothing, anything is fantastic.” It’s pretty difficult to be disappointed with how your day has started if it started out with nothing. After nothing, whatever God provides is something fantastic, even if it’s just the hole in the middle of your bagel. But since you can’t have the hole without the bagel, and (at least in my opinion) you can’t have the bagel without some cream cheese (lox would be nice, too), not only do you wake up and discover you are alive, but you find that God has provided breakfast, too! I know someone reading this will say that there are so many who are alive and who wake up, but they have no food. Their children cry themselves to sleep at night because their bellies are empty. Am I being insensitive to the hungry and the starving? What should they be grateful for? I’m not going to deliver some hollow religious platitude for a suffering people while I have just finished my own breakfast, but I will say that there’s a reason we have been commanded to feed the hungry. (Proverbs 28:27, Isaiah 58:10, Matthew 25:35, Romans 12:20, James 2:14-18) A man to blesses God for his “daily bread” but who does not obey the same God’s command to feed others has a full stomach, but an empty soul. But even in blessing God for turning our “nothing” into “something,” and even in feeding the hungry and visiting the sick, we should be mindful of who we are…and who we aren’t. You see, someone who has that essential sense of nothingness doesn’t make a big deal out of any of his accomplishments. He simply doesn’t notice himself so much, so therefore he doesn’t think about his importance in any matter. Especially when he contemplates that everything good he has—his faith, his love for G-d—none of it is his own achievement, through his own cognizance. Rather it is an inheritance from Abraham our father who was the first believer and the head of all those who believe. It is said that King David was divinely inspired to institute the saying of 100 blessings (at a minimum) to God each day by every Jew. To a Christian, this may seem excessive or even kind of crazy. Who has time to drop everything they’re doing in the middle of each busy day to say a blessing to God? How can you stop what you’re doing 100 times or more each day to bless God for what He has done for you and the world? Was King David crazy to even suggest it? Am I crazy to suggest it to you…or to me? Christians tend to think of these sorts of “suggestions” as “being under the Law,” as a burden, as opposing the grace of Jesus Christ who gives us boundless freedom from religious obligation and servitude. Why should a believer have to bless God for each and every thing He has done? Isn’t that slavery? But what am I saying? Does being a Christian mean we shouldn’t be thankful to God for all He has given us? Does it mean we shouldn’t take notice in the middle of our busy day, that God has given us food to eat, gainful employment, a loving family, solid ground to walk upon, clothes to wear, strength when we’re weary, a soul placed within us, freedom from captivity…? 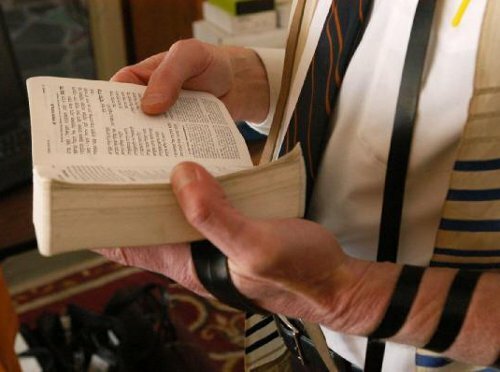 In fact, those are just some of the blessings that Jews typically recite from their prayer books each morning. There are many commandments a Jew has to say a short blessing, when witnessing a miracle, when seeing a rainbow, when receiving new clothes, many, many things. In this, a Jew is always aware that in every single event and detail of every single hour of every single day, God is there. There is nothing in the life of a Jew where God is not present and active. So why would it be so bad if a Christian were to acknowledge God in the same way? Is He not also actively present in our lives as well? According to Jesus, God is indeed present in the life of the Christian as well as the Jew, at least if we can apply his teaching to his Jewish disciples to the rest of us (and I think we can). If we can look at each event in our day and capture it with a sense of wonder, how much easier it would be to appreciate each day we are given, rather than seeing only the burdens it may contain. Ever watch an infant play with his toes? A toddler delighting in his newfound ability to walk? A youngster who has just discovered the butterfly? That’s the sense of perpetual wonder we’re trying to achieve every morning. All day long, strive to be an adult. At the time of prayer, return to that essential child within. Start with the empty hole of the bagel and work outwards. Does God peek at us through the hole in the middle of our breakfast bagel, considering us with as much wonder as we consider Him? Once in a while, He seems to be peeking through the latticework of our world, filling the day with light. But then there are times He hides His face behind a thick wall, and we are confused. We cry out to Him, loudly, for He must be far away. He is not far away. For the latticework is His holy hand, and the walls themselves are sustained by His word. Once we awake and realize we have our life but nothing else, we start being aware of what God has also provided; our breakfast, our clothes, and whatever else we discover in our day. Then we begin finding the wonder of God everywhere. is it a piece of hem on the bagel? You mean ham? I think it’s lox. Kind if a hamish lox….. I can change the photo if it bothers you. No trouble at all. EDIT: OK, I changed the photo. Just plain bagels. Anything else, Dan? How did you like the actual write up? Sorry if that offended you, but taking one line out of context doesn’t give the entire message. If you’re going to judge me, at least read everything I said first, and then judge me.